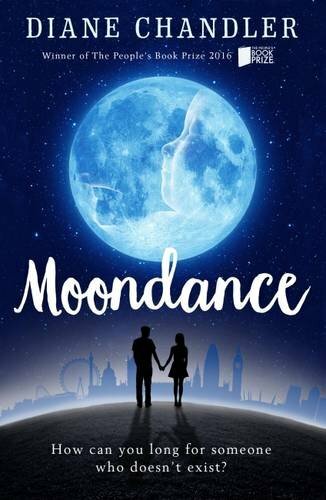 I owe Diane Chandler a huge apology as I’ve been meaning to review her book Moondance for months – and it’s a novel that will resonate with many fertility patients. We should always welcome novels about fertility problems and IVF because they really do help to normalise what can seem a very lonely experience, and also educate other people about the realities of what it’s like not to be able to get pregnant. In Moondance we follow Cat and Dom through their attempts to conceive, fertility tests and the crashing ups and downs of treatment. There is much that will be familiar to anyone who has been through this themselves, especially in the way that treatment takes centre stage and comes to dominate everything else in life. Cat is not a sympathetic or likeable character – almost unbelievably self-centred, arrogant and selfish – which makes it hard to feel much in the way of empathy at the start of the novel. And yet seeing how someone so obsessed with controlling everything in their life is completely thwarted by their inability to conceive adds strength to the portrayal of the nature of infertility. This is the sort of book that you sit down with and find yourself speeding through – despite being a thick book it’s a fairly quick read. There are a couple of niggling inaccuracies, for example, a type of post-coital sperm test which is medically impossible, but these don’t detract from what is otherwise a detailed account of the realities of treatment. This entry was posted in IVF and tagged diane chandler, infertility, IVF, moondance by fertilitymatters. Bookmark the permalink.